So, you speak English and you think a trip to an English-speaking country cannot be that hard, right? Surely not, because you’ve been there several years ago. On a recent work trip, I discovered, however, that such assumptions are quite careless at the least. 1. Assumptions are unwise. Never assume that everything is going to be like back home just because the people in the country presumably speak the same language as you! Expect everything to be different: right from the pedestrian crossing symbols to the way people cross roads to the food habits to mannerisms and customs, to the way people mean and interpret the same English you speak! 2. A little preparation goes a long way. Do your homework! So, you think why should you go prepared for a short work trip? What could possibly go wrong in just a few days, right? Actually, anything could go wrong depending on what the purpose of your trip is, who you are meeting, what important deals you are signing et al. When you go abroad on a work trip, you represent your company, and often times your country. You need to do some homework on what you could expect: talk to others who have been there before you, take some reading material on the country you are visiting with you on your plane ride. Also: know enough about your host country you are currently residing in if you are an expat. 5. Unfamiliar pedestrian signals. At first you are confused by the unfamiliar ‘white man walking’ and ‘red hand’ road crossing signals. In The Netherlands, these are a ‘green man walking’ and a ‘red man waiting’. And what does the countdown after the red hand mean? That this is your last chance to run for your life across the road? You look to fellow pedestrians for cues and find some sprint across quickly. You step forward to follow suit when you notice a car turns into your road during the countdown. A bit baffled and shaken, you adamantly decide to freeze in position on the sidewalk till you see the safe ‘white man walking’ signal again (shudder!). You do want to make it home in one piece after all! In The Netherlands and particularly in Germany, most people adhere to the pedestrian crossing rules. People respect the ‘red man waiting’ signal that they rarely cross–not even when there are no vehicles on the road! 7. A warning to the foodies. Oh, the food! You are utterly delighted by the sinful array of culinary indulgences in the U.S. and eagerly dig into the large portion sizes. This is foodie H(E)AVEN (caps on intentionally)! Having been raised Indian, it is unconsciously ingrained in your mind to never waste any food on your plate (“Remember the many starving poor in India!”, your parents solemnly reminded you while growing up) and you gladly oblige–this is good stuff, after all! A week later though, when it is time to fly back home, you discover when your jeans tightly hug your lower body like a boa constrictor how quickly those extra pounds add up. Yikes! 9. Are colleagues friends? You learn that in America, colleagues rarely socialize or stay in touch as friends. They make acquaintances easily but rarely make ‘friends’ among colleagues. Such a stark contrast to The Netherlands where colleagues socialize every Friday night over the famed Dutch ‘borrel’: when drinks and conversations freely flow over raucous background music. Even strikingly different from your experience with former German colleagues you briefly worked with, who have been in touch since nearly twenty years when life took you places and are cherished friends. Some so close that you fondly call them ‘family’. Now, how do you define the connections with these delightful people you briefly hung out with in America? Colleagues? Acquaintances? Friends? How do you follow through on your word to ‘stay in touch’ with them? Your brain is certainly muddled dealing with this. 10. A little lesson on culture. Now, what do you do when the opportunity arises to travel back into the same country? A culturally intelligent person learns from previous mistakes, mentally readjusts to expectations, and applies past learnings to new experiences while still keeping an open mind to learn something new. It is important to remember, however, that your past experiences are not standards for others to gauge theirs against. Your experience does not necessarily have to be similar to another’s. It is also absurd to base your opinion on a country or its people from a few subjective experiences, so don’t be too hasty to translate your experiences into a “Do’s and Don’ts” list for that country. Be open to the sights, sounds and sensations that a new place brings. Dive in fearlessly, be prepared to fall on your face a couple of times, laugh about it, and learn from it. Have an open mind and a receptive heart. Savor the similarities. Respect the differences. Embrace the change. Note: This article is purely based on personal experience and is merely written to entertain. However, some generalized content offers insight into learning how to deal with new and unfamiliar cultures. Helga Evelyn Samuel is the Founder & CEO of Curry & Culture Company based in The Netherlands, as well as a CQ Certified Advanced Professional. Africa has some of the fastest growing economies in the world right now. Forget the news headline like “Ebola in West Africa”, and “Violent Militants in Africa”. The reality is that these challenges pale in comparison to the amazing opportunities this vast continent has to offer. Corporations looking for growth in emerging markets are opening offices in multiple sites across the continent. This is where cultural intelligence comes in, and in particular some understanding of the Afro-centric worldview is essential in order to succeed. Being a native of South Africa and a Zulu raised in rural Zululand, I have an inside scoop on the different ways that Africans see the world. While not every African holds this Afro-centric worldview, most will identify with it. And we take this view for granted until we’re exposed to something different. In my cross-cultural marriage to my wife Stacey, a Canadian from Nova Scotia, I started to note the ways we held different worldviews. Take for example the differing views when it comes to how time, family and ownership are perceived from an Afro-centric perspective. The majority of people with an Afro-centric worldview see time very differently from Westerners. Africans operate from the “Event-time” orientation, meaning the emphasis is put on the event and the person rather than an artificially imposed time. Time is negotiable. This is why events in an Afro-centric setting tend to be much longer than in other cultures. It is considered disrespectful to allow time to get in the way of interacting with each other. If you run into a friend or family member on the way to work, surely you will take the time to greet them and ask about their family. When working in an Afro-centric context allow more time for the unexpected rather than simply scheduling everything into a rigid timeframe. In a “clock-time” oriented culture the watch dictates when things start and end, whereas in an Afro-centric setting, people dictate the length of an event. In some cultures, family is narrowly restricted to focus on the nuclear family and a limited extended family. The Afro-centric definition of family is far more reaching and even extends to anyone who shares a similar surname. This can be confusing, especially because people may refer to extended family members as uncles and aunts when there actually is no direct connection in the way that other cultures would understand those terms. ‘Ubuntu’ is a collective and shared identity, or togetherness, which links everyone’s humanity to the connectivity they maintain with other humans. As a result weddings, funerals and other important events tend to be a much bigger affair and open to a much bigger group. Turning down an invitation to a co-worker’s family event may be a much greater offense to an African than it would to co-workers from many other cultures. Ownership in an Afro-centric worldview is very collective. When I first bought a car and drove it back to my village, everyone responded, “We have a car! We have a car!” In the majority of Afro-centric contexts there is a community ownership of everyone’s resources. This often translates into ‘what is yours is ours’. There is an unspoken expectation that when you succeed in one-way or another you have to carry the rest with you. If one owns a car and others don’t, one is expected to use it for the benefit of the rest. Failure to comply with these expectations quickly earns one the reputation that they are selfish and ‘un-African’. Consider how HR policies may need to be adapted when expanding into Africa. Understand the expectations an employees’ community will have on them. These tend to be extremes of the Afro-centric worldview and many younger leaders are beginning to adopt more Western values. But before assuming a young leader lacks confidence because he won’t look you in the eye or a staff member is irresponsible because she shows up late for a meeting, stop to consider what competing values they may be facing. Don’t too quickly judge their motives and find ways to discover more. Most of us Africans are quite welcoming and eager to share our culture but when rebuffed in our attempts we may hold back. The key is to be open-minded and use cultural intelligence to be surprised by the rich things you can learn. Africa awaits! Wozani Nonke—Come All. 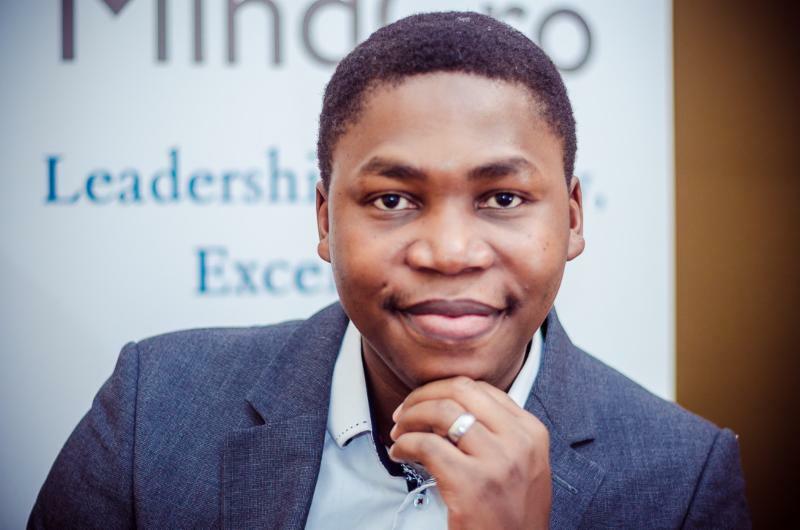 Buhle Dlamini is based in Canada and South Africa and is available to offer speaking, training, and consulting to help organizations develop a culturally intelligent approach for working in Africa. He’s a CQ Certified Facilitator and is founder and chair of Young & Able, a consultancy offering CQ training in Africa. I’ve always been a fan of directly addressing the elephant in the room. I don’t enjoy conflict but I loathe avoiding it even more. In this way, I’m terminally a New Yorker. Don’t dance around the issues. Shoot straight with me and tell me what you think! Yet for most of the world, conflict is best addressed more subtly. Harmony and saving face are the driving values. Direct versus indirect communication is one of the biggest challenges faced by multicultural teams. And the conflict is exacerbated when most of the communication takes place virtually. A blunt email, an obtuse response, or a silent team member can erode trust and productivity. Most of the teams who take our CQ Assessment have a wide range of preferences regarding direct versus indirect communication, even if they’re a relatively homogenous team. Many things influence how directly you communicate, including your age, gender, personality, upbringing or cultural background. And the more culturally diverse the team, the more likely communication differences will chafe at you. You might be familiar with Edward Hall’s work on this cultural difference, something he called low versus high context. A direct, “low” context individual draws very little meaning from the context and just pays attention to the words spoken. An indirect, “high” context individual pays as much attention to the context, body language, and to what’s not said as to what is said. Here are a few thoughts on how to understand either end of the direct-indirect continuum followed by some specific phrases you can try with your teammates. Direct communicators should beware of assuming indirect communicators are passive-aggressive or dishonest. There’s certainly a possibility that someone is “beating around the bush” to keep you in the dark; but there’s just as much chance the individual sees this as the most respectful way to communicate with you. Most indirect communicators will be hesitant to give you bad news and will avoid giving you a direct answer because they were taught that speaking this way is more polite. They will change the subject or tell a story when put on the spot. To communicate disagreement, an indirect communicator might say something like, “That will be difficult,” or “Let me get back to you on that.” Meanings are implicit and silence is typically used as an expression of respect. On the other hand, indirect communicators should beware of assuming direct communicators are insensitive and rude. Again, there’s the possibility that’s true but someone who speaks explicitly may just as well be coming from an orientation that says I respect you enough to tell it to you like it is. The assumption is that everyone should be brutally honest because that’s the most efficient, healthy way to work together. Eye contact communicates trust and confidence. Even most direct communicators still value some measure of diplomacy and kindness but they will go to great lengths to be sure everyone “Says what they mean and means what they say”. So how do you handle these differences on a multicultural team? Who adapts to whom? It’s difficult for any multicultural team to function in an entirely indirect way. Even if all the team members come from a high context (indirect) orientation, different contexts presume different meanings (e.g. the meaning of who sits where around a conference table may mean you’re the leader in one context and it may mean you’re an outside guest in another). Spend time understanding one another’s preferred communication style. A few minutes doing this can save hours of time and frustration. The Cultural Values section of the CQ Assessments can be an ideal way of doing this. Create a set of communication guidelines for the team. What should be handled via email, phone call, etc.? Be specific and clarify each team member’s understanding of the guidelines. It’s not enough to simply say “Be respectful in your communication” because some define respect as “being upfront” and others define respect as communicating through a third party. The team leader needs to model a culturally intelligent approach to helping multicultural teams address these communication differences. The leader should demonstrate the agility to communicate directly and indirectly as required by the situation, task, and team members involved. Being conscious of these differences combined with an intentional plan for bridging them will improve your team’s productivity. Direct versus indirect communication surfaces everywhere—office communications, classroom discussions, and family interactions. What strategies work for you to effectively approach the elephant in the room? An English idiom that refers to ignoring a problem everyone can see. If you have culturally diverse customers (and hopefully you do), consider adding the following to your customer service training manual: “Don’t treat customers the way you want to be treated”. This may break the golden rule of customer service, but applying it may help improve your customer satisfaction ratings. 1. Adapt Your Communication Style. “Good” communication differs depending upon the customer. When emailing, respect cultural differences in relation to how you address people (e.g. “Mr.” versus “John”) and refrain from using slang or abbreviations. It’s best to start more formal. Sometimes it’s the little things that set your customer service apart. For example, changing the way you write the date for various contexts (20 March or March 20) or referencing something specific about the customer’s context (e.g. Chinese New Year, a recent election, etc.) can demonstrate your not just communicating robotically. Proof your marketing materials extra carefully and consider what particular photos or colors might communicate to other cultures (e.g. White symbolizes “clean and pure” in the Anglo cultural cluster and “death and mourning” in the Confucian Asian cultural cluster). Use humor cautiously and avoid sarcasm. If your customer’s primary language is different than yours, slow down your rate of speech, clearly articulate your words, and pause frequently to allow space for the other person to process the conversation or ask for clarification. Determine whether a customer wants you to “get to the point quickly” or prefers more details. Don’t jump to conclusions too quickly when a customer appears upset. The reaction could be cultural (e.g. Some individuals have been socialized to raise their voice in order to be heard but it might not mean they’re upset with you). Some cultures teach the importance of saying “Thank you” after you’re served. Others suggest it’s an insult to say “Thank you” to someone who expects to serve you. Some individuals are trying to “go over your head” when asking to speak to a manager. Others come from a culture where it’s assumed you would prefer to defer this to someone more senior. At some point you may determine that a customer is just being rude; but it’s important to start with considering whether it may simply be a cultural difference. Take a deep breath and think about how culture might be influencing the interaction with the customer. 3. Resolve Conflicts Creatively. Cultural intelligence will also help resolve conflicts more creatively. Take the following situation for example: Two of your customers aren’t happy with one of your products and you have a no-refund policy. John, a New York City native, demands a full refund and won’t take no for an answer. Sanjay, born and raised in Mumbai, continues to give you a lengthy explanation about the crisis his family has just experienced since he initially placed the order. Based on these cultural differences, how might you handle these two customer complaints? Listen actively with appreciation and tact. Acknowledge their point of view and ask constructive questions to help you better understand their perspective. Learn how to express empathy for various cultural contexts. Some simply want to be heard. “I’m sorry” or “I understand” will go a long way with them. Others want some kind of action, even if you can’t offer a full refund. Read some of the important findings from this study that looked at how call service employees in Singapore expressed empathy across cultures. John needs a confident response referring him to the terms and conditions he agreed to. However, Sanjay needs some affirmation that terms and conditions don’t always account for circumstances like his. See if you can offer any flexibility and even if you can’t, acknowledging that this is an unfortunate situation can help defuse the conflict. 4. Don’t be too quick to Adjust. All these suggestions can be dangerous if used without cultural intelligence because you end up assuming all New Yorkers or Indians want to be served the same way. It’s a delicate balance. You want to acknowledge that Friday might be a bad day for someone in Dubai to do a conference call but you also don’t want to imply that everyone in the UAE is a practicing Muslim. Likewise, wishing someone a happy Chinese New Year can be a “small thing” that makes a difference; but it can also seem patronizing. Improve your cultural intelligence and use your increased understanding about cultural differences as your hypothesis for how a customer is likely to respond. But be ready to adjust your approach when you receive cues that suggest you should go a different direction. As you adjust your assumptions and responses to various customers, you create a better customer experience. Don’t assume your customers want to be treated like you do. Find ways to approach each customer with cultural intelligence and simultaneously enrich your own fulfillment by encountering the vast world of differences at your reach. Sometimes we spend so much time deliberating the ideal skills for cross-border negotiation and intercultural communication that we overlook one of the most important ones—small talk! What you say during a formal interview or meeting is important. But your overall likability and trustworthiness may more likely be judged based upon your informal conversation in the elevator or over lunch. Some dismiss chit-chat as an unnecessary and annoying waste of time. But casual conversation is an essential part of connecting with friends, colleagues and people we’ve just met. Yet informal interactions are when we often experience the greatest sense of cultural differences. Should I say anything about what just happened in that meeting? Should I share this about myself? Is it okay to ask about his/her family? Will they understand this humorous reference? How am I supposed to eat this? I was amazed when I learned that many introverts prepare for a social gathering by planning possible conversations ahead of time. Anticipating who would be there, what they could ask, and remembering various details of their lives is a social coping strategy utilized by many introverts. All personality types will be well-served by using this kind of approach cross-culturally. If you know you’re going to be interacting cross-culturally, spend some time to think about what and how you should communicate. The ideas that follow are part of what you can do as you prepare. Many personalities and cultures fear the “awkward silence”. For some, “silence” suggests there’s not much chemistry or interest in the interaction. For others, silence during a conversation is golden. It allows time to reflect and simply be in each other’s presence. Anticipate the meaning of “silence” for your interactions. Don’t panic when things get quiet. But for those who prefer silence, realize that excessive periods of silence will be unnerving for individuals from many cultures. In egalitarian cultures, an administrative assistant asking a visiting executive about his weekend is simply viewed as warm and friendly. But in a more hierarchical culture, most people prefer that authority figures remain socially distant from subordinates and vise versa. Monitor what level of personal disclosure is appropriate for your cross-cultural interactions. In some cultures, openly sharing about one’s divorce, even to a complete stranger, is viewed as endearing and personable. In other cultures, that kind of disclosure is reserved for the most intimate of friends, and sometimes isn’t revealed for several years. To what degree are work and professional accomplishments core to most people’s identity in this culture? In many Western cultures, asking “What do you do?” is the most comfortable way to begin talking with a stranger. But in many other cultures, a discussion about one’s family name and background is a better way to make connections. Beware of assuming someone has kids or is married and look for subtle ways to pick up on whether family or work is a better topic of conversation. The norm in some cultures, such as many Germanic ones, is to have a vigorous debate about politics or even religion. You demonstrate your credibility and likability by being able to hold a position and debate it thoughtfully. In other cultures, politics and religion are taboo, particularly among new acquaintances. And in still other cultures, a harmonious interaction with limited conflict is really important, particularly among new acquaintances. Before you engage in sarcastic banter or challenging someone’s idea, monitor what that will communicate to everyone involved. Even if you’re being sarcastic with your same-culture friend, it may send off a different signal to others as they observe it. Where do you get the information to help you monitor the areas listed above? You can start with resources like Hofstede’s cultural values dimensions, or our recent book, Expand Your Borders, an overview of the norms for the ten largest cultural clusters in the world. But nothing better teaches you about how to effectively engage in chit-chat cross-culturally than watching how others do it. Pay attention to what kinds of things people discuss. As always, beware of generalizing your observation from one or two encounters to an entire culture. But this is your best source of information on how to do chit-chat. Ironically, introverts may do this more naturally than extroverts because the introverted person is naturally wired to quietly take in what is going on around her. Even brief mention of some relevant, timely information about a culture or city goes a long way to demonstrate interest and awareness of one’s context. And it’s usually a safe place to begin conversation because it’s already been in the public eye. Ask what an individual’s perspective is on a particular situation. If the local sports team has just played in the world cup, or a national election is forthcoming, even some brief mention of it demonstrates you have some personal interest in your conversational partner’s context. Instead of starting with “What do you do?” try “Where are you from?” I know some people are going to challenge me on this one. It’s not a simple question for many people to answer—particularly if they’ve moved around a great deal or find themselves living in a place that doesn’t very well reflect their true heritage. But the point isn’t so much the precise answer they give—but to see how they respond. Some might speak very literally about the neighborhood in which they live and grew up, while others might speak about the long-term heritage of their extended family. Many of our regular readers are seasoned travelers and cross-cultural experts. Please weigh in with your own conversational strategies! Cultural intelligence doesn’t mean being a cultural chameleon. Sometimes when I attempt a Japanese bow, I notice my Japanese counterpart extending her arm to shake my hand. It’s a bit like a middle-aged adult trying to act, dress, and talk like a hipster. It doesn’t turn out well for anyone. 1. Is it a tight or loose culture? Michelle Gelfand from the University of Maryland studied “Tight vs. Loose” cultures. This refers to how strong the social norms are within a culture. It’s a society’s level of tolerance for people who deviate from its preferred norms. Places like Japan and Saudi Arabia are “tight” cultures. They emphasize conformity to their dominant social values and norms. In contrast, Thailand and The Netherlands are “loose” cultures, where the emphasis is upon you behaving as you wish, as long as it doesn’t infringe upon someone else being able to do so as well. When deciding if and how much you should adapt to a different culture, reflect on how tight or loose it is. Look at the research on the 33 nations included in the Gelfand et al. study. And use your own insights and network to get a sense of the expectations upon whether you should adapt your behavior. 2. Am I Compromising Myself? I have a set of values and convictions that I’m not willing to compromise just to fit in with another culture. I suspect the same is true for you. Some people would be compromising their health or religious beliefs to participate in the excessive drinking that sometimes occurs at Chinese business dinners. And some companies, such as Bloomberg, forbid employees from accepting gifts of any kind, including having dinner paid for lest it compromise journalistic integrity. That policy runs against the grain of the cultural values of hospitality and gift-giving in many places around the world. But cultural intelligence is not simply play-acting and performing based upon others’ preferences and expectation. It has to be rooted in a strong sense of your self. You need an inner compass to help you discern when adapting goes beyond your core values. 3. How can I best express my intentions? By this point, the inevitable question is, Then why don’t we just let everyone be themselves? It sounds great. But in reality, your behavior might mean one thing to you and an entirely different thing to someone else. For one person, “being yourself” might mean being blunt and speaking boldly. To them, that might express conviction and passion. But for someone who has been socialized differently, it might come off as rude and aggressive. So we have to ask whether the behaviors we use accurately communicate the intentions we want to convey. Many say it’s just a matter of respecting each other and allowing an inclusive space for our differences. But even what we consider inclusive and respectful is deeply embedded in cultural norms and behaviors. Good intentions are not enough. Behavior is the way people perceive intentions. And the behaviors that most strongly communicate are less how you pass your business card and whether you kiss, bow, or shake. And they’re more whether you’re willing to adapt the process for how you get work done, exercise flexibility in your policies, timelines, etc. 4. Will retaining our differences actually make us stronger? Soon Ang and I are researching and writing an upcoming book on culturally intelligent innovation. Diverse teams innovate more than homogeneous teams do if there are high levels of CQ among the diverse team members. Therefore, if everyone tries to be the same, the team loses one of the most powerful drivers of innovation—the differences! On the other hand, if every team member insists on “being themselves” and no one adapts, the team sits in gridlock. (U.S. congress anyone?!). Culturally intelligent teams draw upon their differences to find a third space where they can create innovative solutions that stem from the power of different perspectives and approaches. Andy Molinski’s new book, Global Dexterity is an excellent resource that takes all of this much further. It provides research-based, practical ways to improve CQ Action—your ability to effectively adapt your behavior for intercultural environments. When have you adapted too much? Not enough? What questions would you add to the list? If you’re starting to work with a group in India, can you get by with a basic understanding of South Asians or do you need to narrow more specifically on Indians themselves? Or given the enormous population in India, might it be even better to focus more specifically on the region or city in India where the group with whom you’re working is located? West Professional; ability to handle situations Always looking for a job! Just as we must be cautious with how far we extend country-wide norms, so also we have to be cautious with how we interpret these regional norms. I have friends from North and South India who are far removed from some of the trends listed above and who would vehemently disassociate themselves from these descriptions. And there are many people from the North living in the South and visa versa. But as with all cultural norms, these are some broad generalizations that describe some contrasts across the country. It may not always work to market India as one unified culture. The extent of relationship orientation can vary significantly across regions and averages may be misleading. A former CEO of a large manufacturing company in India said: “The dealers in north India are typically the happiest ones but are also the most demanding. In contrast, the ones in south may have issues but are less likely to admit they are unhappy or to articulate issues openly”. India is consistently described as a place steeped in hierarchy but there are differences across India in this category too. North and South India are perceived to be more hierarchical of the four regions. We also found that although the manifestation for a hierarchical approach was the same across most of the country (e.g. subservience to authority) the drivers for that submissive behavior are different across various regions. For instance, in North India, the primary reason for submission to authority is fear of what will happen if you don’t comply with authority figures. But in the south, the reason stems more out of respect for age, position, and/or experience. There are also clear differences in the career motivations that exist across the regions. In the North, upward mobility, improved lifestyle, and an entrepreneurial drive are the key motivators for most people. But in South and East India, stability is a far stronger motivator than getting ahead. And not surprisingly, we found that the retention rate is higher in East and South India. India should not be thought of as one, unified culture. It abounds with diversity, which in turn drastically impacts the way to effectively work across India. Even we as Indians are challenged by some of the diversity across our country. In fact, some Indians would much rather relocate overseas than to a different region in India. An HR head of a leading Indian software company recounted a phone call from the father of an employee in East India. The father pleaded to have his son’s transfer to South India reversed. He was concerned that the different language, climate and food would just be too much. We have to beware of the variances that exist across India and for that matter, within any national culture. It is nigh impossible to prepare for all the variances we’ll experience among different cultures and individuals. But that’s where the four capabilities (Drive, Knowledge, Strategy, and Action) of cultural intelligence will best prepare us. I’m simply calling for us to have a better appreciation for the importance of domestic diversity within a national culture.